Bordered by I-287 in the north, I-95, and the Hutchinson River Parkway in the south, White Plains is seen by many as a good balance between accessibility to NYC and affordability. However, whether you live in the relatively new apartment building or in one of the older apartments and houses of White Plains, you’re likely able to hear the many noises common to all cities particularly those from cars and delivery trucks. Along major commuting paths such as Westchester Ave. and bustling streets like Mamaroneck Ave., Cityproof already has a history of success installing soundproof interior windows. 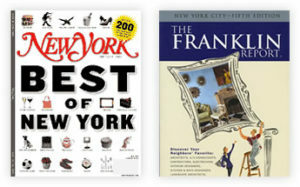 In operation since the 60s, Cityproof has been featured in the NY Times and was rated the best by New York Magazine and The Franklin Report. Custom-tailoring, the highest quality materials, and good business ethics are all part of Cityproof’s services. 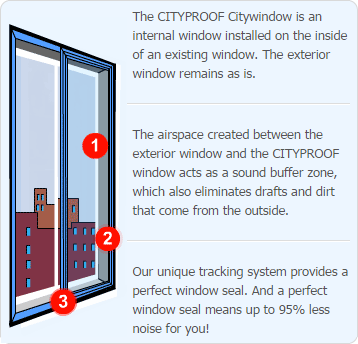 Reduced dirt and drafts; better thermal control for reduced energy costs (up to 30%); and additional UV protection are added bonuses of Cityproof’s windows. We’d like to earn your business with our superior product and exceptional customer service. Call us today at (718) 786-1600 or use the form below and one of our experts will contact you.